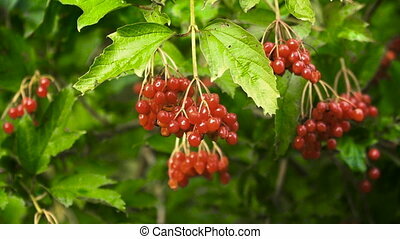 Bunch of sorbus fruits bloomed on its trees with green leaves around. 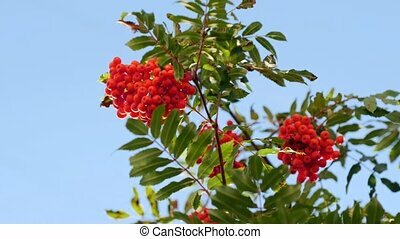 sorbus aucuparia commonly called rowan and mountain-ash is a species of deciduous tree or shrub in the rose family. White flowers on blossoming cherry tree in spring. 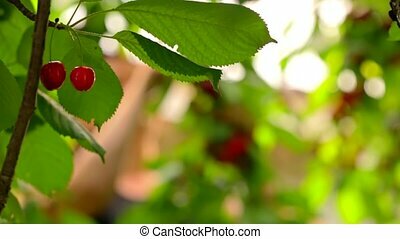 Bunch of cherry flowers and green leaves on cherry tree. 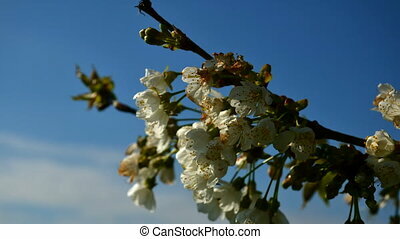 Blooming cherry flowers on branch. 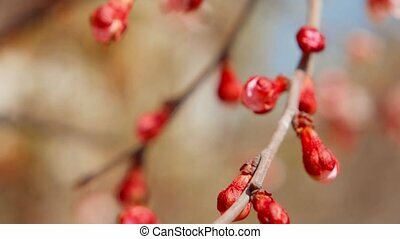 Fresh closed buds on branch of apple tree. Selective focus, macro shot. 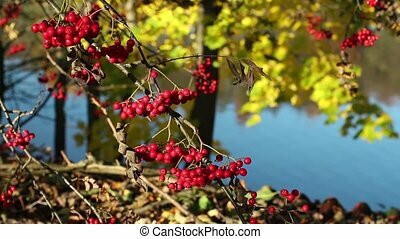 Viburnum (viburnum opulus) berries with its leaves outdoor in autumn.4K video.Bunches of red viburnum berries on a branch. 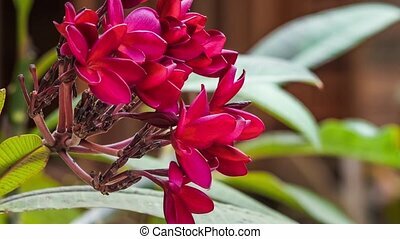 Red frangipani or plumeria flower motion, with some aints on it, shallow depth of field. Various details of vegetable life lie on wooden table in art studio. 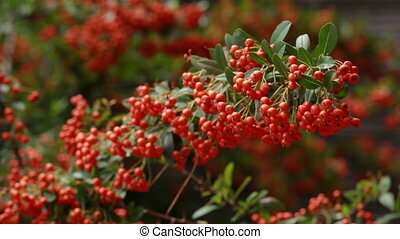 These plants are prepared for using them in creating decorative elements for interior. Blossoms are fresh and beautiful. They are so colourful and will be useful for garlands or accessories. 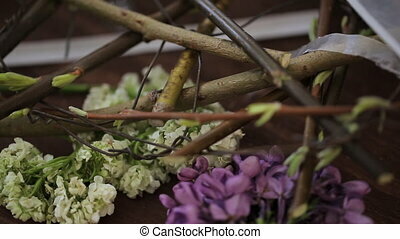 Parts of tree branches will be suitable for wreaths. Floral particles are fasten with each other with metal wire and covered with white transparent ribbons. It will be nice diy for every beginning designer. 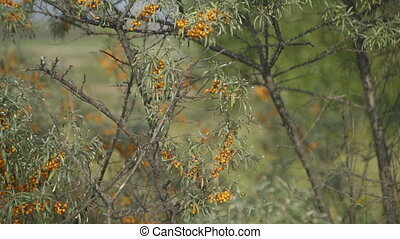 Close up view of buckthorn in bloom. 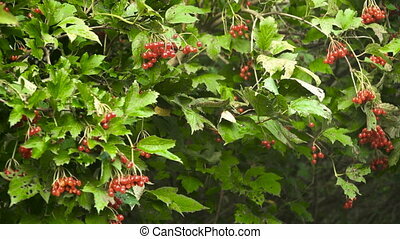 Bush is fluffy with berries growing in dense clusters of saturated orange color main characteristic feature and with lots of oblong green leaves gray refluent waving in wind but lightened with sun at its zenith shining brightly. 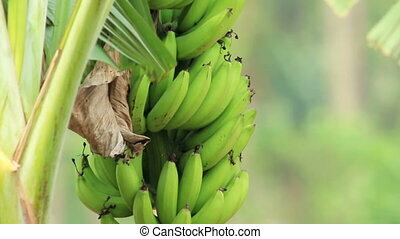 This plant is helping in lot of disease cases protecting from catching cold and boosting immunity due to large amount of nutrients and vitamins. Sky is of dark blue color. 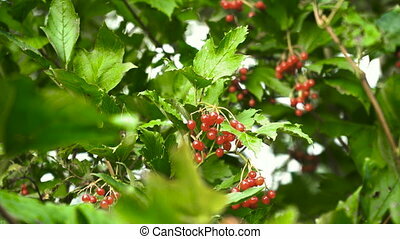 In the frame there is a branch with green leaves and bunch of red ripe cherries hanging on it with focus on foreground and busy woman among branches with green leaves picking the berries collecting the harvest in the garden on blurred background. 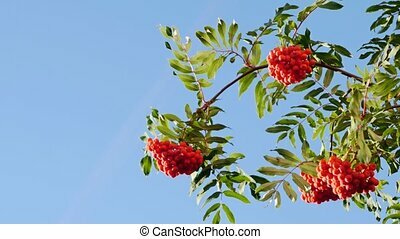 Rowan berries on a tree. 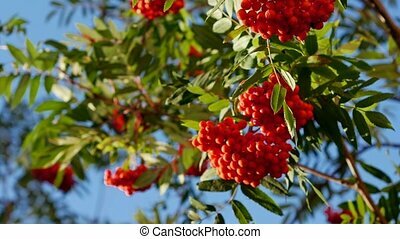 rowan-tree lush bunches of red mountain ash on the branches of a tree. shallow depth of field.